Petrosadid takes a deep care and assistance to provide a wide range of after sales services. We develop our services to provide the reliable performance as our clients anticipate to serve. Based on our expertise, we can offer our services based on the client’s requirements. Our commitment and insight with our well work ethic is our strength which is building confidence and insurance of our clients. Petrosadid is aimed to serve the clients with following after sales services: Erection and commissioning supervision, training courses, troubleshooting, spare part supplying and etc. Petrosadid After-Sale service strategy is related to several theories like Service Loyalty, Service Quality, Customer Satisfaction, and Customer Relationship Management. We are trying to do our services to attract service loyalty which has indulged our consumers in terms of repurchasing the product. 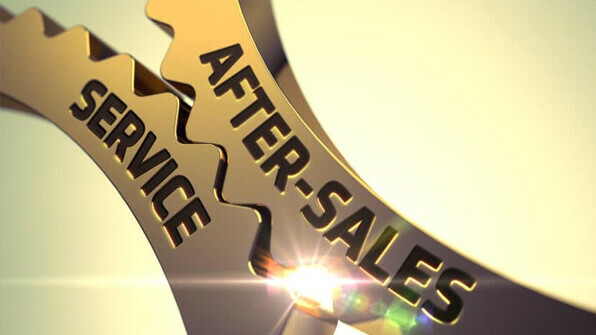 In Petrosadid after sale services, delivery or warranty is important part of services to satisfy our customer also we have determine some solution to have relation with our customer continuously and we will be at our customer disposal any time.